UP NEPA ! UP NEPA ! UP NEPA ! The above chant fills the sky with sonorous voice, it tends to find a way into the hearts of millions of Nigerians and soothe the mind. It’s a sign that power has been restored and it’s all too exciting coinciding with the cries of joy. But take a minute away from the charade and look at it in the real sense. Is it really something to be amused about? Is it something to be greeted with millions of shout across the country? Is it something to be joyful about? I think the answer is Yes and No. Yes for all the right reasons, I don’t need to delve deep into this because Nigerians knows the value of a restored light. But when you take into deep consideration you find it is an anomaly as Nigeria, a country that boasts about being the “Giant of Africa” can’t afford a stable power supply. It’s become all too disastrous and a shame. The power sector in Nigeria has become stagnant throughout the years. Nigeria a country with a large population cannot and does not provide its citizens with a 24-hour power supply and this owes a lot to why the economy has been crippled and cannot get adequate growth. Adequate power is necessary to increase the output of small and medium scale business and even up to large industries but as things stand today it is estimated that of the approximately 170 million Nigerians about 90 million have no access to electricity. 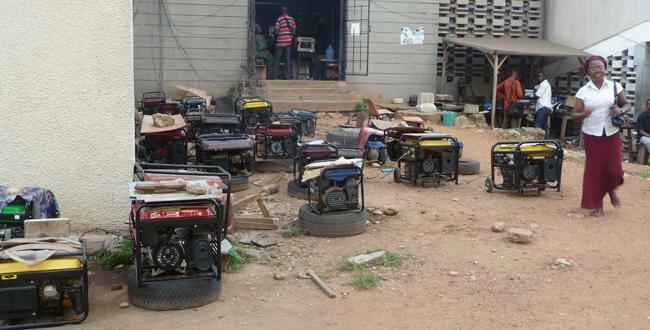 However, those who have access to electricity have had to deal with a steady interruption and this has led to increase in the purchase of generators, inverters and other self generating power systems. Businesses that generate their own power supply due to the poor general power supply have seen their businesses thrive so little. The amount of money spent on self-generation of power supply by these businesses is mind boggling. Nigeria, one of the top largest oil producing countries in the world. With open access to the Atlantic ocean, but the gain at the end when compared to the input is of little essence and leads to the economy not having the economic boom it deserves which makes her citizen eager to immigrate to other countries, with the hope of a greener pasture. However, everybody seem to get thing wrong and hard because of electricity in the said country and most people like to consider Cheap Flights to another country for the sake of electricity. This isn't a bad ideal but getting to your destination is important. This and other major issues within the Nigerian power sector compelled the government to privatize the sector. The government unbounded the national power utility company into a series of about 18 successor companies and ownership of these companies was granted to Bureau of Public Enterprises and the Ministry of Finance Incorporated. The power sector was privatized in 2013 by the past president Goodluck Jonathan. However the problems still persist and no real adequate solution has been gotten. 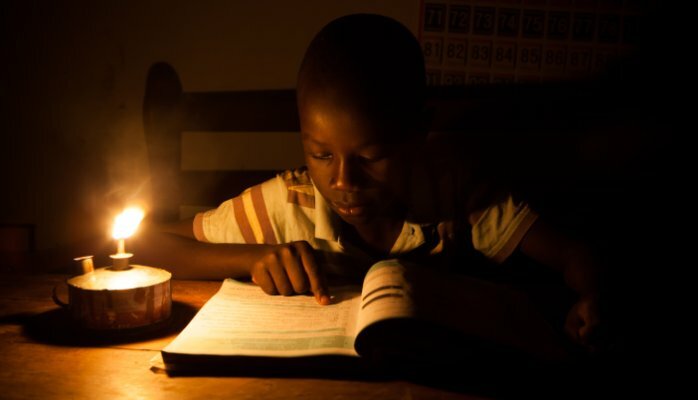 For several decades, despite consistent cash investment by the federal government, there have still been nationwide power outage and it is becoming more rampant even with the talks to increase the electricity generation. In a recent post Vice president Yemi Osinbajo said Nigeria had increased its power generation capacity above 7,000mw although there have been challenges with distribution to customers (a problem ought to have been fixed by privatization). This however contradicts the 4,108mw figure released by Nigerian Electricity System Operator as verifiable amount of power generated as at 2017. Even if the power generation truly stands at 7,000mw this still falls way short of what is needed in Nigeria that has a population of about 170 million people coupled with the fact that over the course of 18 years, from 1999 to 2017 more than N2.5trillion have been spent on the power sector, there still is no real solution in sight just hear-says and “unverified facts”. The Central Bank of Nigeria also announced that in 2017 they released N701billion funding support to improve power supply. Nigeria’s supposed 7,000mw is however in stark contrast with those generated in some countries; the UK with about 30 million people generates 80,000mw. Back here in Africa to the south, South Africa generates 40,000mw for its 60 million people. Ghana, a country that once got its light from dams in Nigeria now has a per capita consumption about 3 times higher than that of Nigeria at 361kWh. Ghana’s electrification rate is 72% while that of Nigeria is a meager 45%. The issues in the power sector have downplayed the economic growth of Nigeria. The power sector needs an urgent upturn. The government needs to invest in the power sector and has to do it right, investment in key infrastructures such as gas pipelines, distribution equipment, generation and transmission of electricity and other facilities. Good and genuine policies have to be put in place so as to adequately supply power no matter how small it is to consumers. The use of renewable energy sources to supply power should also be adopted such as solar, wind, biomass and so much more. Steps like this when put in place and seen through to the end will help in accelerating the growth of industries and thus economy in the country and a country with a booming economy will have happy citizens. Nigeria currently needs to generate close to 40,000mw for its approximately 170 million citizens.